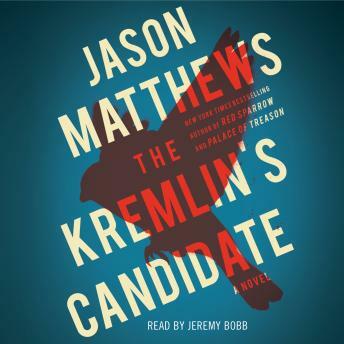 Listen to "The Kremlin's Candidate" on your iOS and Android device. Bad ending...after 42 hours invested in this trilogy author could have reward us with a little happiness. Cried too good to end. Excellent! Totally compelling trilogy but sad to see the ending. Excellent writing but someone should have taught the reader how to speak Russian. Great story. This trilogy got stronger, each book better than the previous installment. In this one, there are some amazing and memorable scenes, along with several hard-to-forget, but believable characters. Yes, the ending is controversial. Yes, some will complain. But this series is as realistic as they come. And that’s as it should be. Apparently, real espionage doesn’talways follow a Hollywood script. Great stuff, well-narrated, truly enjoyable. Sorry to see the trilogy conclud. I hope Mr. Matthews isn’t done writing..